Synopsis: Parent’s laments about out of control child behavior, Then statements of surprise and relief after employing Firm Love techniques; The mix of love and firmness; What does firm love look like; and A few hints for carrying out firm love parenting; and more. “My children are out of control.” “My kids are turning into monsters.” “All I get is angry back-talk.” “What am I doing wrong?” “Why do I have to ask them a million times to do what they’re supposed to do?” “I get so mad when they won’t do what I expect them to do – I’m the one out-of-control.” “No matter how much I yell at them they still won’t do what I say.” Time and time again in parent guidance counseling I hear laments like these. In most cases the problem is the same at the core and so is the solution. We have a ton of research that shows children and also adolescents do best with a combination of parent actions that helped them feel two main things – feeling loved and feeling safe. When deep in their subconscious children go love-hungry, and when children begin to develop vague senses of insecurity they frequently begin to act in ways that parents find difficult to handle. Becoming oppositional, disobedient, defiant, passive aggressive, angry, deceitful, unmindful of rules, argumentative and even unmotivated and forgetful, along with just general displays of unhappiness frequently means a child doesn’t feel sufficiently secure, or loved, or both. Parent actions which show a combination of consistent love and firmness, well mixed together, often are required to produce happy, cooperative children and a harmonious home life. What is so baffling to many parents is the acting out behavior looks like the child just wants to be left alone to do what they want to do. Then mistakenly those parents might not carry through with the behavior they want from the child, thinking this will pacify the child, however, the opposite (escalating bad behavior) most often occurs because the child subconsciously wants loving parental control which they are unable to give themselves. Escalating bad behavior usually means the underlying need is not being met; that explains how loving firmness leads to a child’s sense of security. If a child’s subconscious could talk with adult words it might say something like this. “Parent, I know I can not handle the big, scary world by myself, so I need to see you as consistently strong and standing protectively between me and the big, scary world. I also know I need your help to handle the natural impulses, drives, and urges that sometimes cause me to act up and act out these feelings. “If I act up and I see you can’t handle little, weak, vulnerable me and the small amount of power I have, I will see you as weak just like me. That will agitate, irritate, annoy and then frighten me, which in turn will cause me to feel increasingly and fundamentally insecure. It mostly is a parent’s calmly exhibited firmness, mixed with love expressions that best reassures a child and helps them to feel secure. Doing something like gently putting your arm around a disobedient child and firmly saying, “I love you, kid, and now go stand in the corner for 18 minutes, and get your penalty finished so we can do something more pleasant later” is an example of firm love. Other forms of firmness, of being tough and strong can help a child feel secure in the family, but without the expression of love mixed with a show of strength the results tend to be much less desirable. As a child feels sufficiently secure and when they are not having to cope with the threat of living without sufficient safety, they open to the benefits of being loved. When a sufficiently secure child receives parenting acts which convey love, they tend to physically and psychologically grow and mature better and faster. Most of the children who receive both sufficient security and demonstrations of love do remarkably well in the world as adults. This often is true even if they have some other difficulty. To show how important this security and love is, in extreme cases an infant who is markedly unloved is susceptible to dying of Marasmus or some other failure-to-thrive illness, or else it’s because their immune system became extra susceptible to disease. The extremely, erratically loved child is prone to becoming a Psychosocial Dwarf or to developing some other physical growth and developmental dysfunction. The insufficiently loved child is much more likely to develop one or another form of mental or emotional illness, as well as being more susceptible to various physical illnesses. To have a solid sense that one consistently is loved, provides a certain sense of security in itself. To consistently receive the eight major groups of behavior which convey love helps a child’s psycho-physical self be healthfully nourished. That love nourishment is necessary for a child’s growth and the development of healthy brain functioning and neurochemical balancing. Without good brain functioning and neurochemical balancing mental, emotional and behavioral problems become much more likely. Insecurity-based anxiety and proneness to depression, along with the inability to form healthy relationships, all are thought frequently to be related to inadequate love or malformed love having occurred in a child’s life. Just being loved without firm guidance doesn’t seem to produce happy, healthy kids because love alone doesn’t produce a sufficient sense of security. Just being firm without love may produce tough but unloving offspring. 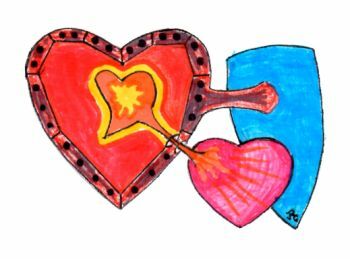 When love and security both are present in a child’s life, developmental maximum well-being is much more likely. When a sense of security is incorporated it tends to result in a more self-confident, self-secure child. When there is sufficient love expressed with firmness it tends to produce a sufficiently, healthfully, self loving child who has a sense of confidence and self-security. This in turn tends to produce assertiveness and higher achievement, and societal contribution in adulthood. Love and firmness mixed well together also tend to produce compassionate, caring offspring who are good at cooperation and interrelating. Of course, there can be all sorts of intervening, negative factors and events in a child’s life which can derail the best parenting efforts. However, all else being equal the parent who masters being both loving and firm is likely to get happy, healthy children that they enjoy being around, along with a more consistently harmonious home life. What Does Firm Love Look Like? The parent still rather quietly, but with a lowered firmness in the parent’s voice said, “ I know you are unhappy and after you’ve finished your penalty I’ll listen to you, but now your penalty time is 33 minutes. The child cried, hollered, thrashed about and moaned loudly. The parent said, “Now it’s 43 minutes, and I love you, and you can cry but you have to do it quietly. I really hope you don’t get to 53 minutes. I really will listen to your complaints after you’ve finished with the penalty, and after that we might be able to do something nicer later”. The child said a little resentfully, “Okay” and with a sadly lowered head dutifully commenced with the penalty action. After the specified time the parent said, “I’ll listen to you now if you want tell me different things and you can say anything you want. The child calmly said, “I did break the rule and I apologize. I blamed my brother but it’s me who let him talk me into it, so I did deserve the penalty. I’ll do better next time”. The parent smiled warmly, said “I love you and I’m proud of you for saying that”. The child hugged the parent and then went to play. This may sound like a rosy scenario but I’ve heard reports just like this from happy parents who employed firm love with a misbehaving child. And the child’s resistance to this system usually lessens quickly if the system is used consistently. Firmness is better conveyed by a lowered voice than a raised voice. It is quite useful not to confuse a child by using the word ‘asked’ as in “Aren’t you going to do what I asked you to do?”. It is useful for children to understand the difference between a request to which one can say no, and a command. Frequently children truly are not being asked to do something but instead they are being ordered or commanded to do something. If you ask someone to do something it’s a request not an order, and to a true request the answer “no” must be allowable. Otherwise, it’s not a true request it’s an order disguised as a request. For many children who take words quite literally this just helps them see parents as phony. Words of love can be stated in the same, firm tone of voice which may help ‘love words’ be seen as strong and solid. Indeed, these love words may not be immediately perceived well. They, however, do tend to soak in later. There is much more to be learned about firm love and how to accomplish it. Hopefully this is enough to get you started thinking about your own mix of firmness with love in parenting. 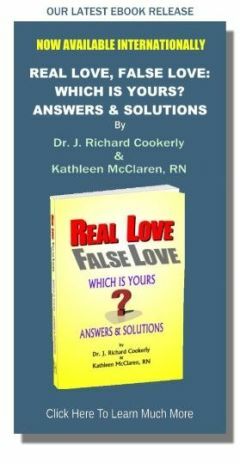 ♥ Love Success Question Is there someone in your past who did firm love well that you might model some of your firm love parenting actions on?